It is with great sadness that we announce Professor Sir Tony Atkinson, Centennial Professor at LSE, died on Sunday 1 January 2017. “We are very sad to report that Tony Atkinson died on the first of January. He was 72. 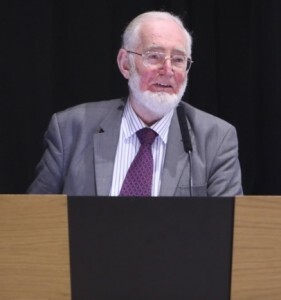 Tony Atkinson was one of the most distinguished economists of the 20th and 21st centuries. He profoundly influenced our thinking on poverty, inequality, mobility, public policy and the economics of growth. From his first book in 1969, Poverty in Britain and the Reform of Social Security (Cambridge University Press), to his last, Inequality: What Can Be Done? (Harvard University Press, 2015), he demonstrated the great care and rigour which should characterise serious economics. His approach was: identify the issues, examine the facts and the forces that shape them, and ask what we can or should do. And through his technical work on his index of inequality and on public policy in imperfect economies he showed how analytical rigour could change our understanding. Based on his work on inequality and market imperfections, his was one of the clearest voices challenging the “market fundamentalism” of the 1980s and 1990s. “He was Tooke Professor at LSE from 1980-92 and Centennial Professor from 2010. He was Chair of the Suntory and Toyota International Centres for Economics and Related Disciplines (STICERD) from 1980 to 1988 and, with its founding chair (1978-80) Professor Michio Morishima, made it one of the world’s leading research centres. “Tony was not only an extraordinary leader through his writing but also in his building and reinvigorating of institutions, from his time at Essex (where he went as a professor aged 27) to Nuffield College, Oxford where he was a much loved Warden, 1994-2005. He founded the Journal of Public Economics in 1971 and was editor for nearly two decades. With Mervyn King and Nick Stern he initiated at STICERD the ESRC programme on “Taxation, Incentives and the Distribution of Income” which lasted for 12 years coinciding with his time at the School. This was one of the ESRC’s first and longest lasting research programmes. There are many more examples of Tony building and nurturing institutions that were both of the highest quality and endured. “His distinction was recognised across the world. For example, he was President of the Econometric Society, of the Royal Economic Society, of the European Economic Association, and of the International Economic Association. He was awarded 19 honorary doctorates. “He was a great European; the majority of his honorary doctorates were from European non UK universities. He worked in a hospital in a deprived area of Hamburg before going to University. He was involved in the economic analysis of the potential effects of joining the European Economic Community in the early 1970s prior to the referendum on joining in 1975. He was President of the Luxembourg Income Study from 2011 which has made a great contribution to international comparisons of well-being and inequality. He was a member of France’s Counseil d’Analyse Economique, 1997-2001, and was Chevalier de la Légion d’Honneur. Last year he was awarded the prestigious Dan David Prize for his work on poverty and inequality (shared with Francois Bourguignon and James Heckman). “It was not just as an academic and leader of academic institutions that we remember Tony. He was the finest of human beings. His decency, humanity and integrity were profound and extraordinary. He was quiet and understated but deep and strong. He was charming and he could be very funny, including irony of the highest class. He was a special colleague, always ready with his support and wisdom. “He met his wife Judith (neé Mandeville) at Cambridge as undergraduates when they were 19. They were married for more than 50 years. They shared and reinforced their commitment to making the world a better place and tackling injustice. They took great pride in and strength from their three children Richard, Sarah and Charles, their spouses and their eight grandchildren. “Tony made fundamental and original theoretical contributions to economics in general, and to public economics and the analysis of economic inequality in particular. He also undertook original and innovative empirical analysis of economic inequalities, and of their relationship to economic institutions such as the welfare state. He made major contributions to applied statistics and the development of social indicators. His work brought the analysis of distributional issues back to a central position in economics. It is no overstatement to say that the modern analysis of economic inequality started with Tony’s 1970 paper in the Journal of Economic Theory. “Aside from his academic contributions (which made him a leading contender for a Nobel prize), Tony made major contributions to social and public policy in the UK and internationally throughout his career, from his first book (Poverty in Britain and the Reform of Social Security, 1969), to his major report in October 2016 on Monitoring Global Poverty completed as chairman of the World Bank Commission on Global Poverty. In between, he made many other major contributions including to the measurement of government outputs and productivity, and to development of indicators on social inclusion and poverty for the EU. Tony was a pioneer (with Thomas Piketty and Emmanuel Saez) of the study of ‘top incomes’ and inequality. If you would like to post a tribute to Tony; leave your condolences or share any memories you have of him please comment on this post. My condolences to Professor Tony Atkinson’s family and loved ones. One of my first jobs when I came to the LSE in 1985 was to be secretary to the Academic Studies Committee which Tony Atkinson then chaired. He was unfailingly kind, supportive and courteous and gave me the best introduction to working in the School I could possibly have had. I always found it to be an inspiration that someone who was so academically distinguished could also be so approachable and patient over the matters of administrative detail with which I had to bother him. It was a wonderful experience to have been under Professor Atkinson’s care whilst studying at Nuffield College – that is very much how it felt, that one was being cared for and nurtured under his leadership. My condolences to Professor Atkinson’s family. It must be remebered that Tony came to prominence in an era dominated by Thatcherite economics. His was the carefully worded and researched counter argument to those who ignored rising inequality in the UK. For this alone, despite his many other achievements, he deserves to be fondly remembered. Tony was the best PhD supervisor ever. So sorry he left us so soon. I was a very junior research assistant when I first met Tony, doing a joint stint on the Colchester CPAG Welfare Rights Stall. I had studied his superb first book as an undergraduate and expected to be overawed by him. Not a bit of it. He was a remarkably kind, generous and often humorous companion. Nick Stern nails it perfectly, he was indeed the finest of human beings. What a privilege it has been over the past five decades to read and occasionally rub shoulders with this giant of the social sciences. I have often marvelled at his ability to communicate so easily with vastly varied audiences and to convey complex ideas in straightforward terms, a very special gift. Needless to say, he is huge loss both academically and politically. As with the premature death of Peter Townsend in 2009, the most appropriate legacy for Tony is, surely, to sustain his battle for social justice. I knew Tony Atkinson when he joined Essex as a young Professor. He was a great colleague, wonderful Head of Department, a great supervisor for our research students, very helpful to colleagues, a great undergraduate teacher, and a wonderful kind, considerate human being. I have known Tony and his wife Judith since those days and he has been a great mentor and friend. He will be sadly missed by his colleagues, former students, and friends. It was a privilege to have been a friend of this great man. As an economist he will always be remembered for making the subject Inequality as a major field of economics. Unfortunately the short sighted Nobel Committee did not appreciate his work. Eu tive sempre contacto com os artigos do Professor e devo admitir que me influenciou muito, para mim é um dos melhores economistas do século. I met Tony Atkinson relatively late in life, at a research network of European welfare state scholars (RECWOWE) to which he was a senior advisor. There he was, clearly an economist among political scientists and sociologists, but respected and liked by everybody. One could not but be taken by the sincerity (and dry humour) with which this great scholar tried to make sense of a role for the EU in social policy. He was soft-spoken and unassuming but bold in his thinking and in the policy proposals he put forward. His last book on inequality will have to be consulted many times in coming years, when automation and artificial intelligence make middle class jobs obsolete. Our only comfort is that this wise man was a prolific writer, providing us with insights beyond his untimely death. There are so many accurate characterisations of Tony in the above contributions. After I had taken the Non Graduate Diploma in Social Administration, I went on to Cambridge in 1965 to read Economics and there I met Tony and Judith. We ‘clicked’ with Judith’s social work and Tony’s – for an Economist – unusual interest in social policy. I was touched when he asked me to read a draft of Poverty and the Reform of Social Security, and then of his 1972 book Unequal Shares. I still have the letter he wrote me in 1971 about my comments and it absolutely shows that kindness and humility and total absence of intellectual arrogance that were so much the trademark of Tony’s character. His commitment to social justice endured right through to his writing of Inequality: what can be done? after the onset of his cancer. I hope so much that this will be for many years an ‘essential read’ for students of economics. We will miss Tony deeply. Many others have written about Tony’s towering analytical and agenda-setting contributions to public economics and social policy, and I have little to add. Instead, like many others, I have been reflecting on all that Tony did to help my work. Returning to the UK after my PhD in the United States working on the US welfare system and subsequently on the welfare state more broadly, I often faced the response, ‘that’s interesting, but is it economics?’ Tony’s work quickly made that question redundant – Tony was the academic battering ram that made the economics of social policy respectable for me and the many others (think health economics) who work in those areas. More specifically, the first edition of my book on the Economics of the Welfare State drew on Tony’s work and also benefitted greatly from his customary generosity with his time commenting on the strategic outline of the book. At least as important, Tony’s suggestion to use a survey of student income that STICERD had acquired to study student poverty was the origin of my subsequent work on higher education finance, and over the years Tony was the best of colleagues in disagreeing with some of my conclusions. Alongside huge intellectual influence was kind and helpful advice about promotion and later, when no longer at the School (what a huge loss), acting as one of my referees. Finally, and most important, the person: in some ways Tony set an austere example with his ramrod integrity, never for an instant allowing his strong ideological views to distort the conclusions of his analysis – a lesson to us all. But that austerity was always tempered by his manifest kindness – the brain might have been scary, but the warm smile was always there. I shall remember both with gratitude, admiration and affection.